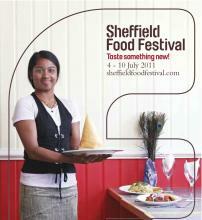 With a star brewing cast list that includes the likes of Kelham Island and Thornbridge Brewery, it was perhaps inevitable that Sheffield’s Food Festival would embrace the ale with verve and vigour. It didn’t take long – only in its second year and the Festival is laying on brewery tours, ale trails, events – including an appearance from the effervescent Beer Beauty herself, Marverine Cole – plus a Beer Festival in the Peace Gardens over the weekend. Fascinated about beer and want to explore that bit further? Amidst the 100s of beer-related projects on Kickstarter is the one from Master Brewer, Beer Sommelier, and all-round nice guy Alex Barlow, to turn his web-based All Beer Finder into an App. 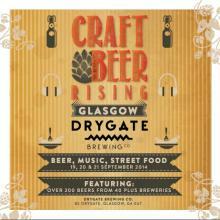 Craft Beer Rising is landing in Scotland and it’s joining with Glasgow’s newest Cathedral of good beer, Drygate Brewery. If you are in the trade, take advantage of the Trade Day on Friday 19 September, 12-5pm, to savour beers from over 40 breweries at the dedicated trade session. And for those of us social drinkers, the Craft Beer Rising main event kicks off at 6pm on 19 September, running through until Sunday 21 September. In true Glasgow fashion, the evening sessions run nice and late – to 1am.